anymore obvious, as Ms. Lavigne would put it. 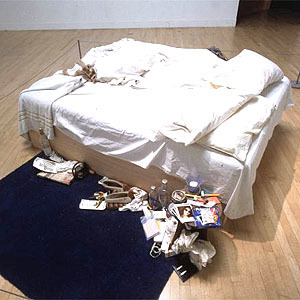 Bed by Tracy Emin, 1998.
female artistic potential in particular. Tass and Fiona Banner, amongst many others. artistic heights which they have been able to attain.